Babbula, Neem, Bakula (Maulasiri), Tumburu, Mayaphala (Majuphal), Pippali (of small size), root of Akarakarabha (Akarakara), Lavanga, black-salt, rock-salt, Sphatika Bhasma, Karpura or Camphor (native), pepper-mint, etc. Makes teeth healthy & shining. Massage or rub this tooth powder on both, gums & teeth either with the help of middle finger or toothbrush. After that, mouth should be cleaned properly with water. Use twice - in the morning as well as at night after dinner. 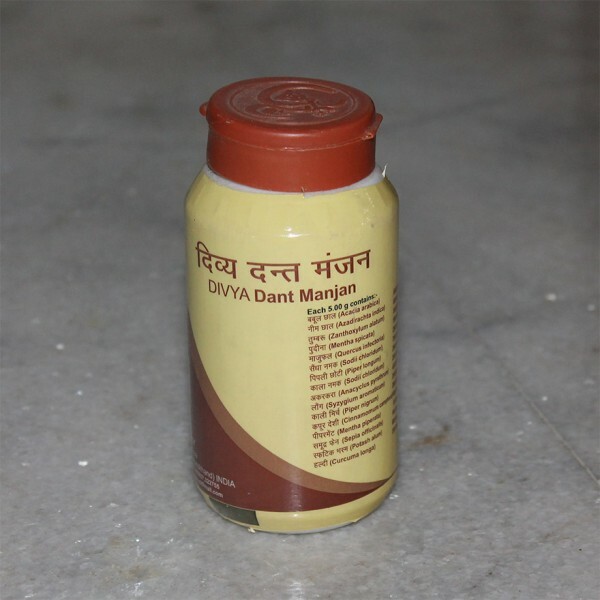 Administration of this tooth powder cures all types of complaints related to teeth.